Some we’ve chosen to write ourselves because we have particular points we want to raise and messages we want to get across. Certain topics are especially important to us and a big part of why we started INJAF. These articles will be written from personal experience and research. Where our articles have been written by an individual you will see that person credited as the author, where the articles have been written collaboratively the author will show as INJAF. 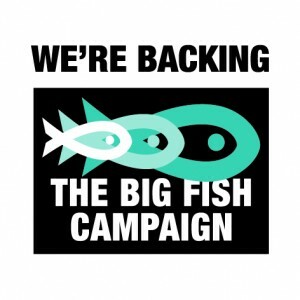 Our articles are not written on hearsay, after all, there are quite enough myths and examples of misinformation about fishkeeping already without us adding to them! Our sources will be referenced where applicable. All our articles will be peer reviewed to help ensure accuracy of information. We are always open to new sources of information so if you spot any errors or have additional information please contact us on info@injaf.org. One of our aims with this section is to bring together some of what we think are the best articles available on various topics. There are plenty of articles out there that are so good there is little point in us reinventing the wheel to come up with our own version. We’ll reproduce these on our site where we are able to get permission from the original author. Copyright for these articles will be as set by the original author. Where we are unable to contact the original author, or feel the article works better in the context of its original site, we’ll provide links to those articles. Please see individual sites for copyright information. All the photographs featured are either our own or contributed by the original owner by request. None are photoshopped or amended in any way other than cropping, what you see is what you get! These are real fish and equipment, owned by real fishkeepers. We’ve had to resort to Creative Commons for a few of our photos, none of us own a red tailed catfish for example!